Mooie opname maar het is een clay-coloured thrush ;-) Heeft geel in zijn snavel en locatie kan niet echt voor deze bergsoort. Outstanding capture, Hennie. Love the setting. 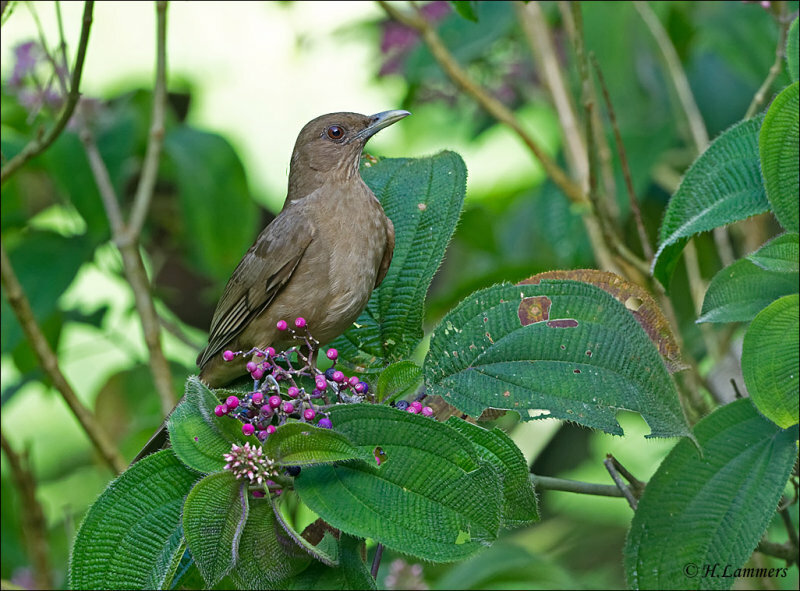 The thrush looks lovely surrounded by the pretty greenery. V.
What a superb portrait, Hennie!! Beautiful sharp image, great seting and good compo. splendid shot, beautiful details and lovely with those fruits!